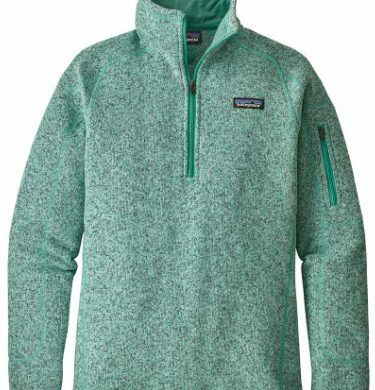 The Patagonia Women’s Better Sweater 1/4-Zip Fleece Pullover is better for skiing, hiking, and camping than most sweaters. A slim fit pulls this sweater’s soft fleece closer to your body for more comfort, and it’s easier to layer your ski shell or rain jacket over. Patagonia added a 1/4-zip front in case you work up a sweat, and the zippered sleeve pocket secures your valuables.